My last and definitely not least example is my father in the ministry Pastor Robert Earl Houston. He is my Pastor when I accepted my calling to preach God’s word and he is my example today. 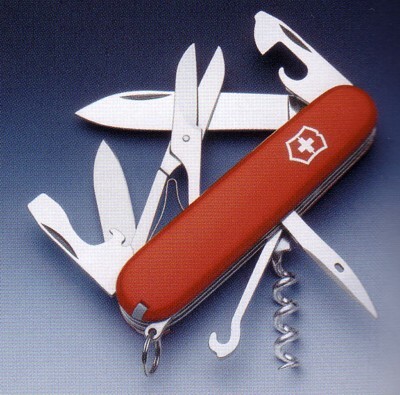 To have a swiss army knife Pastor is pretty cool. He can preach, sing, teach, dance lol, joke, play dominoes, play the keyboard, play the organ, counsel, Mac savvy, and a down to earth man. One of the main things i love about Pastor is he is an accessible Pastor. Most would say sure all Pastors are, but Pastor Houston really is approachable. I love seeing him laugh and joke because all of his sons and daughters in the ministry laugh and joke. I am truly thankful for a young spirited Pastor. Not everyone has one who can be as down to earth as Pastor Houston. First Baptist Church is blessed to have him as am I…..
After considering what he said, (I’m flattered and thankful for it), I got to thinking about the future of the church, especially the black church, I think this may be the trend of the future, which is actually the trend of the past. When I came up in ministry, the pastor was “ambidextrous” – he was not only the preaching pastor, but he did pastoring plus – preaching, teaching, some cases he was the musician, the janitor, the bookkeeper, the bulletin clerk, the secretary, and in some cases, the treasurer. Some pastors that I have known were the CEO, COO, CDO (chief of doing other things), etc. Most pastors (somewhere around 90%) don’t have multiple staffs. They don’t employ trained ministers of music, ministers of education, have a full-time staff. Even at the church that I pastor, at present I’m the only “full-time” employee but there is a staff of wonderful, dedicated people – unfortunately we don’t have (at present) the resources to employee each of them full-time (I wish we could). But we make do and my instincts tell me this is the future for the church and pulpit committees in particular. Calling a minister just because they can whoop and preach is not the future. Calling a minister who can fill many voids is the future. Being tech savvy in a technological age is a no brainer. Being music savvy when choirs are being replaced in churches by praise teams is a no brainer. Being well informed in a world where the 24 hour news cycle has been replaced by “news now” is a no brainer. Being sensitive to the gifts and talents that God has given you in a world where they are needed is a no brainer. Being foremost dedicated to the craft of preaching – not just throwing a sermon out there just to “get through another week” is a no brainer. Many people don’t know that T.D. Jakes is also an accomplished organist. Many people don’t know that Joel Osteen has a background in television production and marketing. Many people don’t know that Paul Sylvester Morton has tremendous business acumen. Many people don’t know that Gardner Calvin Taylor came from a farming background in Louisiana. Many people don’t know that E. Edward Jones was a school teacher and has an educational background. And the list goes on . . . The future of the church is clear. Swiss Army Knife Pastors are on the horizon. Amen Pastor. Not only am I the pastor, but I utilize my business and marketing background to effectively manage budget, staff and deployment of resources. You are point-on.